SSCC Theatre proudly presents Dead Man Walking, by Tim Robbins, playing in The Edward K. Daniels Auditoriumat Southern State Community College, Hillsboro, Ohio, July 27 and 28 at 7:30 p.m., and on July 29 at 3:30 p.m.
Based on the successful book and film, Sister Helen Prejean (played by Paula Campagna), a catholic nun, receives a letter from a death row inmate by the name of Matthew Poncelet (Andrew Marler). Poncelet was sentenced to Louisiana’s death row for killing two young teenagers. Although Poncelet was sentenced to death, his accomplice was sentenced to a lesser sentence of life without parole. Poncelet, as depicted by the press, is a volatile criminal who often makes references regarding Hitler as a role model. By becoming Matt’s spiritual advisor, Helen is able to get inside the mind of a convicted killer. With letters and visits, Prejean is able to discover and understand a man that the rest of the world only views as a cold-blooded killer. The cast includes: Ryan Elrich, Kevin Evans, Xander Hardin, Madison Hatfield, Emma Horick, Bronwyn Jones, Quinn Pickering-Polstra, Zebadiah Pickering-Polstra, Kara Russell, Eric Silcott, Shane Taylor, Matthew Waits, and Sarah Wuellner. The production team includes: Rainee Angles (director and production design), Zanna Haines (costumes), Benjamin Gullett (public relations), with Shane Taylor (stage manager) and Abby Van Brocklin (assistant stage manager). Fulfilling other crew positions are: Brent Angles, Charlotte Brown, D.J. Griffith, Melissa Griffith, Ian Holmes, Rebecca Rust, Micaela Stanton, and Kayla Taylor. 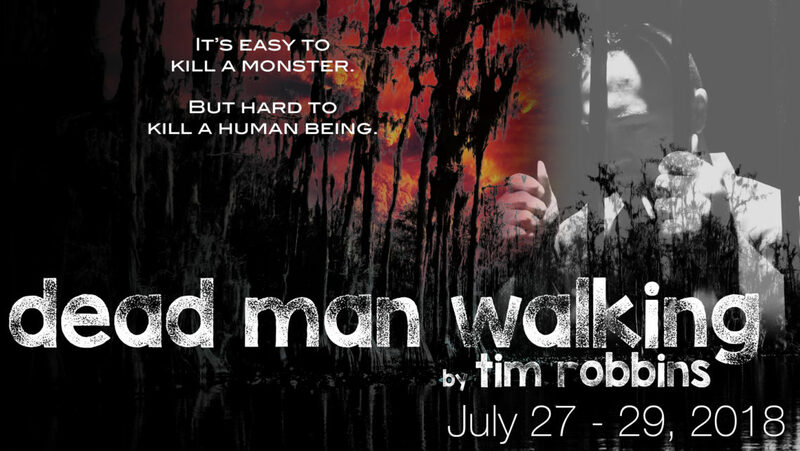 Tickets for Dead Man Walking are on sale now starting at $8 at www.sscctheatre.com. At the door, tickets start at $10. Credit cards are accepted for online purchases and at the door. Seats for this production will be reserved, so it’s recommended that tickets be purchased early. A discount of $2 per ticket is also available for groups of 10 or more. For more information about Dead Man Walking, please visit www.sscctheatre.com.